Capture the beauty and warmth of the Playa Largo collection by Panama Jack®. 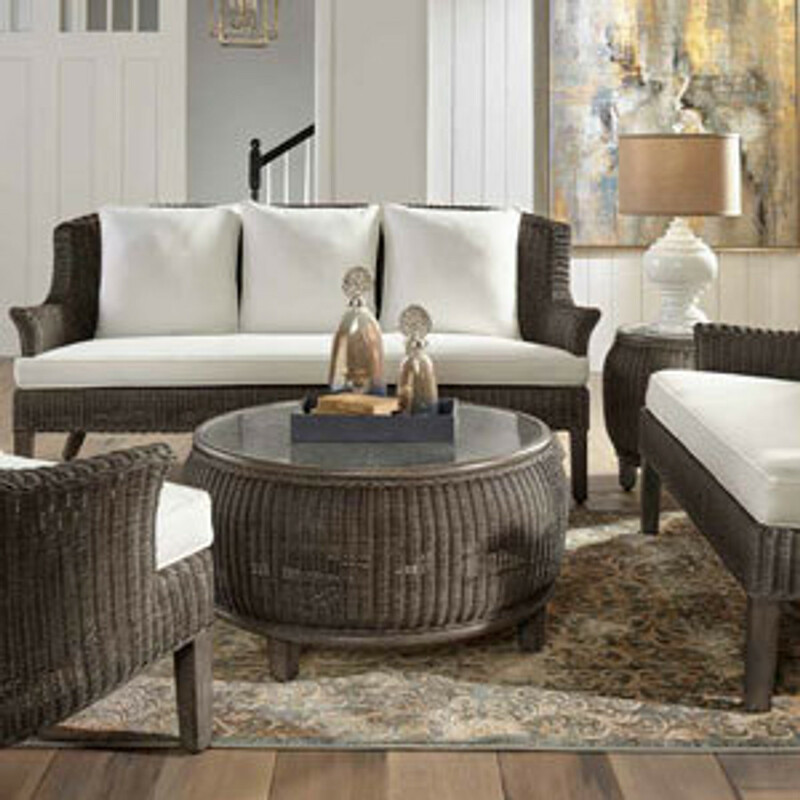 The seating set features sofa, lounge chair, loveseat, coffee table and end table that create a relaxing and cozy getaway space in your own home. The richly woven pieces feature subtle curves and deep cushion comfort. The framing is durable and wrapped with a traditional, wood toned, hand-woven weave.